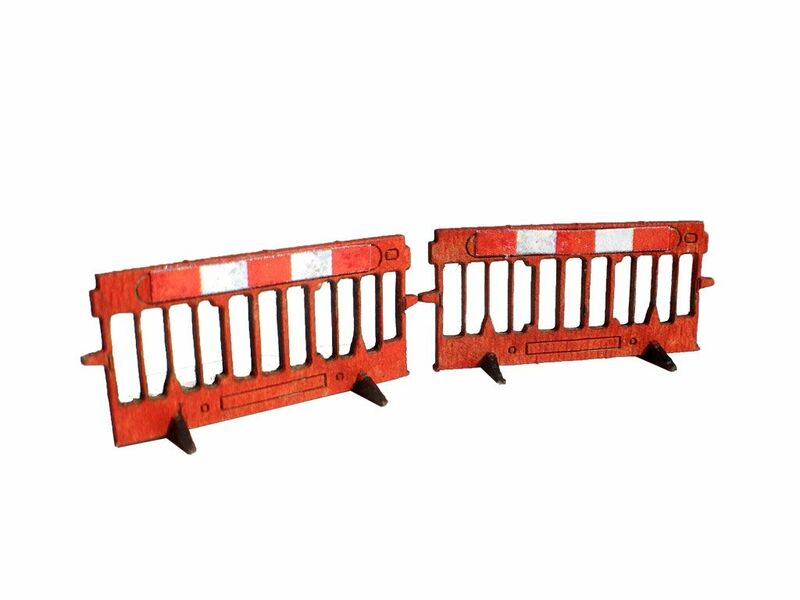 A pack of 16, self-assembly laser cut card Construction site / Roadworks safety barriers in OO scale. 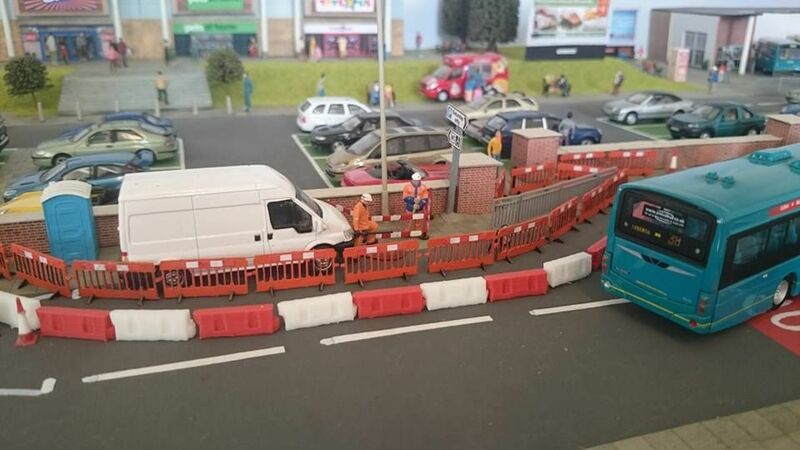 Ideal for adding detail to street & industrial scenes on your layout. Straightforward to assemble with instructions included. Can be easily painted using artists acrylics and come complete with printed red & white striped band for the tops of each barrier. Laser etched barrier detail on one side only. Straightforward to assemble - just a few seconds per barrier. Great barriers. They look great around my road works, but can be used for a multitude of things.